Amazon Web Service(AWS) is a cloud computing platform , which provides a wide range including compute, storage, networking, application services, deployment, database, analytics etc. 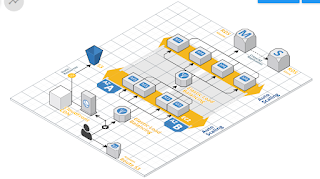 AWS Architecture diagram provides a full set of aws icons and easy drag n drop drawing platform. System administrators and network professionals can map the AWS infra in minutes. 1. It's a cross-platform based program which runs on Windows, Mac and Linux systems. 2. It's completely compatible with Visio and Microsoft Office. 3. It provides high-quality and standardized AWS icons. 4. It provides built-in templates to help you start quickly. 4. Easy to use, support "auto alignment and spacing", "drag and drop", "snap and glue" etc. 8. It supports multi-page and large size drawing. 9. Easy to manage text blocks and add texts. 10. Supports attachments, hyperlinks and notes. 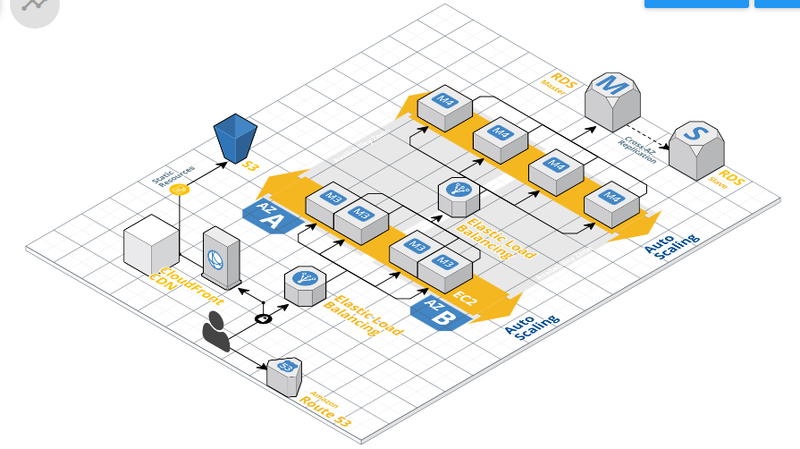 There are several tools available in the market for making aws diagrams through simple drag and drop. cloudcraft is one of the good web based tool.